benzyrnill, 旎宫嘉坊: shoot budding life in winter 2014 still warm. shoot budding life in winter 2014 still warm. 2014's first winter snow.^ yesterday my son, woz, Hope of China, God of Universe, visited my dorm and harbored a night here, where drizzled in dusk and snowed shallowly in mid night. with improved salary, ￥1700 in Oct, 2014, and a soon bonus ￥300, from QRRS, I felt surer when my son again needs a 3rd Xbox gamepad to compete 2 other persons in video game, family guy, to satisfy it by ordered in amazon China online at once. his uncle there to play the game with him and likely impressed by the expedition. near dusk I fetched my son to dine out with grouponed mutton hotpot near my dorm. my son enjoyed the dinner even I personally felt the service a bit deteriorated. when we arrived the dorm, my kid brother's gift for me, a luxurious full body length coat awaiting us to sign on. the night my son constrained by watching online animations while I busy with updating video games on his pad in countless inter-broken. adverse environment in the dorm under PRC surveillance kept my data transportation futile, till 10:30pm I quit with what done. the bed too small for me and my son now a teenager grows every night. in the night before we fell into sleep snowing didn't notice us. next day we stayed till noon then headed out for a Japanese cuisine lunch. his mom more and more frustrated by our memorable reunion and tried hard to intervene, trifle cause finding to refute my companion which in my son's favor, to my son. after shower in spa, my son asked riding me on way back. in video game he failed twice and teared after my annoying failing advices and uneases. he suffered so much in my turbulent financial situation. last night I dreamed encouraged my 3rd sister, who quit since elemental school to allow my old family support my education, to learn. with a stick I found lost my job after quarreled with a teacher in academy. this dawn equipped with new quilt my kid brother bought me online, I dreamt first I worked as finance reporter with another competing guy. then under punishment I lost my job and started my own media enterprise. God, I saw glory of gifted. I saw compelling peace among anxiousness upon concerns. grant me 2 new domain I need last. promised me new merry year end and lunar Spring Festival. even indebted I see hope of prosperous. narrow barrier and allow my through. bring me sooner my Royal China, my crowned Queen from Japan, Asoh Yukiko, hotly anticipated as our son, woz, into my new life stream and new stage of domineer. dreamt of silence.^ first dreamt as a France-German girl graduate. her life under her tribe, including surveillance of community. 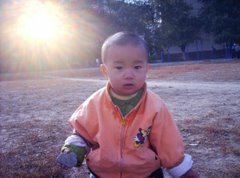 then dreamt with a young family in southwestern China. we have to pass through a cable bridge in mountainous area. a man from minority helps us. he cut off our armpit hair with scissor, including our infant, before launch to slide. yesterday warming system in QRRS restored, after chill late Autumn. so good the welfare of modernity. my credit card deficit mounted to ￥6000, I tried to borrow my senior middle school alumni but failed twice. but my confidence upon my liability/reliability gradually grows, esp after had my sisters and brother conversation and concern. the CCb bank also notified me via sms that I can utilize installment loan within my improved credit from 12000 to 17000 CNY. so I tried and promptly got result, ￥10000 cash with 0.75% interest in a year instalment. that means I had to pay back the bank 909 monthly in a year.God, I felt spoilt in the gift facilitates my expanding business, esp recent domains purchase. dad, God, this months I crying for owning namespace I concocted years ago for my wife. ensure me cling to it without interrupt, uneven prosperous and slumpy. bring me more freedom financially. next week I will pay back 2 credit cards, grant me smooth operation and peacefully settlement. grant us happy time in monthly reunion for noble life. bring me sooner my Royal China, my girl Lyu, Asoh Yukiko, girl Zhou, girl Taiwan, in a way complete and fruitful. thx dad. dreamed of visiting Asoh Yukiko and her family. ^ in dawn dream, I still quarreled with my son's mom, a little freaky woman trying hard to gain from her old marriage. then passing some wall or tunnel or dividing line, we got my 2nd wife, my Crowned Queen of Royal China from Japan, Asoh Yukiko, visiting me. her parents, her brother, escorted her. on a passage in an academic hall, Yukiko's mother cordially talked to me. its my first time so deeply impressed by the brilliance of my mother-in-law. later I again troubled by coming dispute against the cheap woman in my 1st marriage upon routine agenda with my son and our shower together, on which she bargains for gains or revenges. this PRC's national holiday to end today. I reunited my son for 2 days together, for scarce of entertainment places in Qiqihar nor supportive budget, our only joy still dining out and movie. in my dorm for 2 nights, I cared my son and let him comfortable. he asked me to update android games on his pad and immersed in them.my finance difficulty still a sting but I more focus it more turned tolerant, since this month I had to pay bank issues me a credit card near 100 CNY monthly. I hope that don't break my backbone like last straw. God, I put faith in my vocation her, put essence in my work online & offline so far. help me afford my life and my family, ie. my son's. grant us salvation in the other door through this dark room. thx, dad God, bless me sooner my Royal China, esp my Crowned Queen, Asoh Yukiko, and our son, my 2nd son, inherits Japanese merits, from saint and prescribed. raining night dreams. ^dreamt worked with Taiwanese director, learning from Japanese movies, esp. high refresh rate of screen scanline, larger than 60 Hz. this likely from an American TV series, in which alien invisible to human eyes, but shown trail with higher scanning rate, called algorithm 5th. later dreamt building under water bomb. last dusk I accompanied my son with his swim lesson. drizzle made my farewell loomingly. I told my son my financial problem, my choice to abide my vocation in my Royal China.Its a beautiful night after all, both of us shoes sucked by ground water. we ate dicos chicken on way back. his mom tentatively arranged me leave in advance, but I felt a normal goodbye to my son finishes the day, so I waited in the building corridor till reunited my son, and saw they packed in a van, with a young man and a mid aged man previously seated. the woman likely stepped into her new marriage. this morning I got up lately, near 10am. God lets me holding. coming years might harsh for me, with current shabby salary I had to starve. God, dad, u never let me insufficient. God, bring me sooner through the adversity my enemies setup. share my golden time with my son in this fertile soil in northeastern China, new hope of my Empire of China.dad, Asoh Yukiko, my crowned Queen from Japan, see our situation and mighty ur tools to break barrier of our Royal China, to ensure our landing softly on the new promised land. dad, God, praying witnesses the morning sunshine.